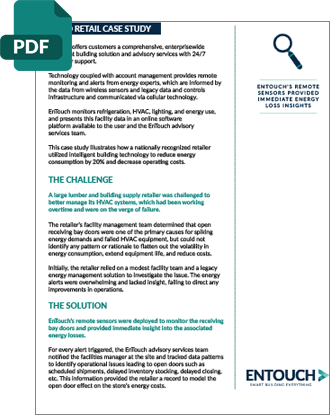 At ENTOUCH we empower multi-site operators with data, analytics and insights to enable smarter buildings and smarter business models with proven results. 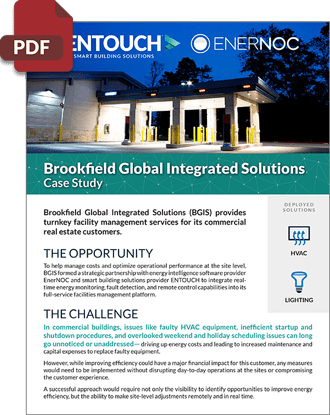 ENTOUCH offers facilities, energy, construction and procurement professionals 360° visibility across the enterprise for total facilities intelligence. 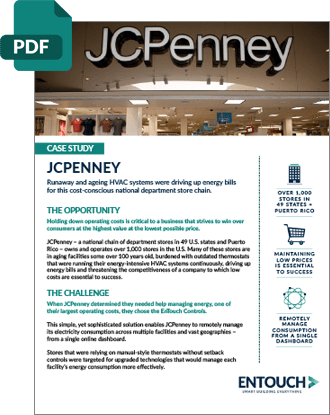 Runaway and aging HVAC systems were driving up energy bills for this cost-conscious national department store chain. A large lumber and building supply retailer was challenged to better manage its HVAC systems, which had been working overtime and were on the verge of failure.